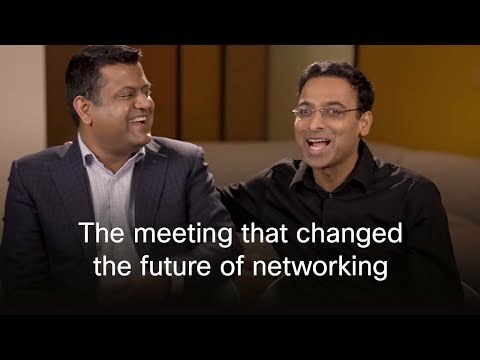 Machine learning and AI play a vital role in Cisco's intent-based network. AI and machine learning. Those two terms dominated tech news in 2017, and the trend will continue into the new year. According to predictions from Forbes, more money will pour into AI projects in the year ahead, and we will see voice interactions with machines increase. That's something Cisco is already bringing to life with its AI powered Cisco Spark assistant-the world's first enterprise-ready voice assistant. In addition to voice interaction with machines, the tech industry can also expect to see more integration of AI and machine learning to keep up with ever-changing security threats, especially when it comes to network security. Human-driven, manually maintained networks simply can't detect anomalies like machine learning and AI-driven technology. See also: What's your intuitive strength? That's where Cisco's intent-based network comes to play. Called one of the most significant breakthroughs in enterprise networking, this new network connects billions of devices, and can identify what's trustworthy and what isn't in a matter of hours instead of weeks or months. As Chuck Robbins noted this summer, "Intent-based networking allows for automation at scale, so companies can manage a seemingly unmanageable array of devices and other technologies." Cisco's Vice President of Growth Initiatives Ruba Borno says this new network is required in this new era of IT. "We are using machine learning and artificial intelligence to power a self-learning network, furthering our ability to automate." Learn more about Cisco's intent-based network, and how it can interpret data to provide more meaningful insights. We welcome your comments and engagement.We welcome the re-use, republication, and distribution of "The Network" content. Please credit us with the following information: Used with the permission of http://thenetwork.cisco.com/.